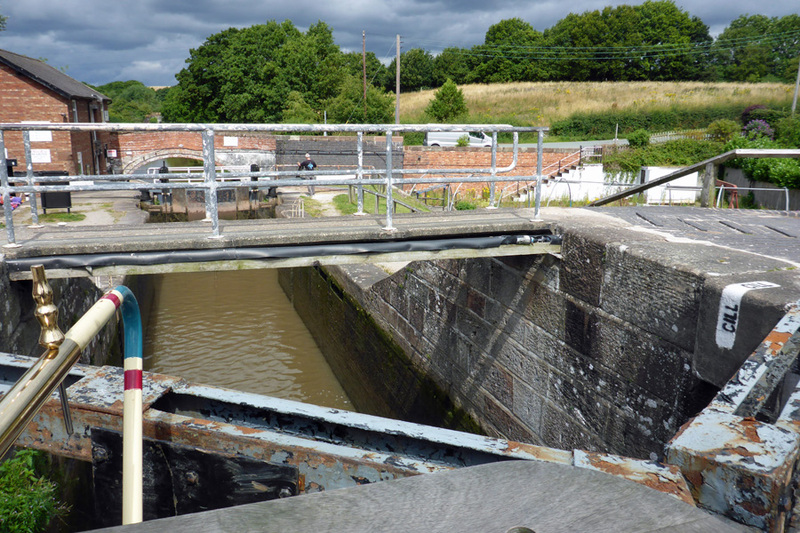 First trip in an oddly-shaped bucket on the Shropshire Union Canal – The Diesel-Electric Elephant Company. Eight and a half minutes of my two days of tuition, plus a duck. 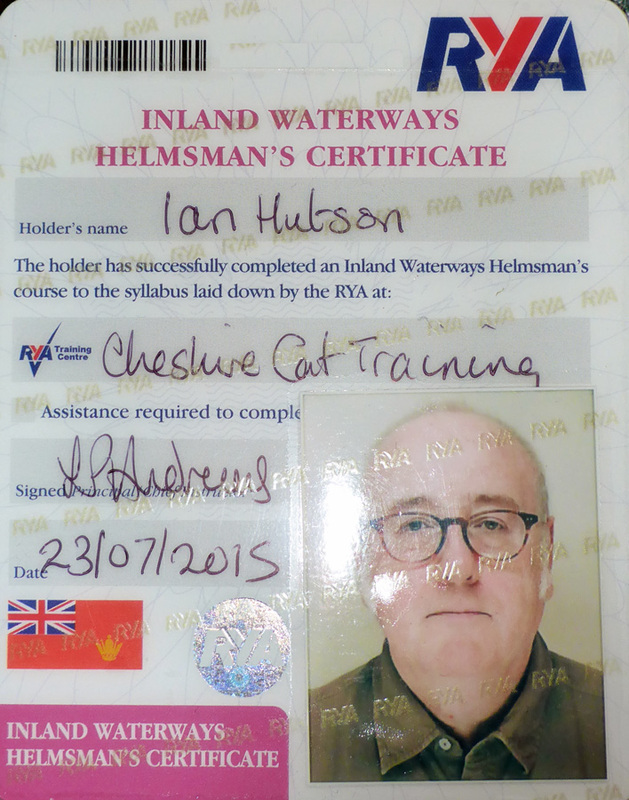 In the near-future I will be moving to live on England’s canal system so this past week I took some training from Cheshire Cat Narrowboat Training to get my Royal Yachting Association Inland Waterways Helmsman Certificate. We’ve all got to start somewhere, and I reckoned that I might as well start with some good habits rather than bad. The week presented a lot of “firsts” for me. 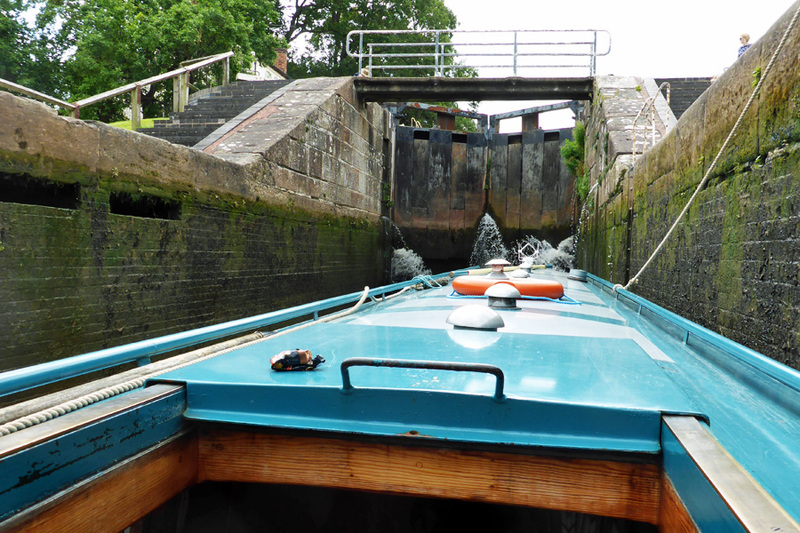 First locking, first winding (a twelve-point turn in my case), first night moored alongside a tow-path pub, first waking-up on the canal… and it was fantastic! A daytime nightmare incarnate – and I was too busy thinkiing about what I was supposed to do to worry too much! Linda, who ran the tuition, was uber-patient having obviously trained a million narrowboaters in her time, and it was both fascinating and terrifying to see her gradually ratcheting up the freedom and independence each time we met a fresh obstacle. That was where the contrast of states of mind came in, with Linda saying unexpected (but fun) things such as “take her out of the marina” (faint – clonk, thump) and sometimes stepping off the boat while issuing commands such as “keep her to the right when you bring her into the lock” (er – awoogah…)! Locks are (maybe now were) a part of my nightmares, but I was far too busy getting into them and working through them to allow myself to notice anything other than being careful. Splendid stuff. We met all kinds of people from the friendly and human right down to a wrinkly-nosed and snobby “princess”. Her Highness presumably had been born an expert in all things narrowboat and thus felt entitled to issue a “Richter Scale Five” sneer to anyone not quite so infallible as herself. I consoled myself with the thought that she probably wasn’t wearing her tiara that day because she’d accidentally sat on it, and was thus in a lot of pain. 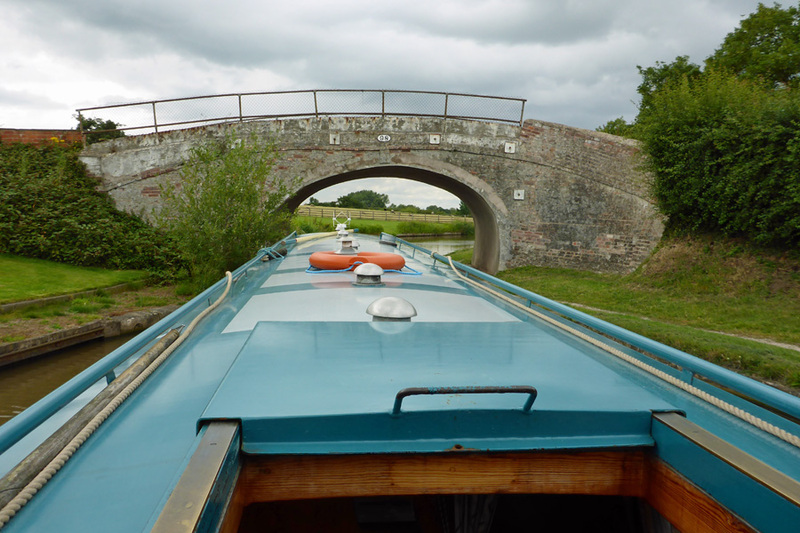 The overnight mooring was all of thirty feet away from The Olde Barbridge Inn, where the food was reet gradely and the Hendrick’s Gin was in stock. Far from being noisy, everything went suddenly peaceful at about half-past ten, old-fashioned pub hours. Waking the following morning was equally peaceful with just the swans and ducks demanding breakfast and attention. 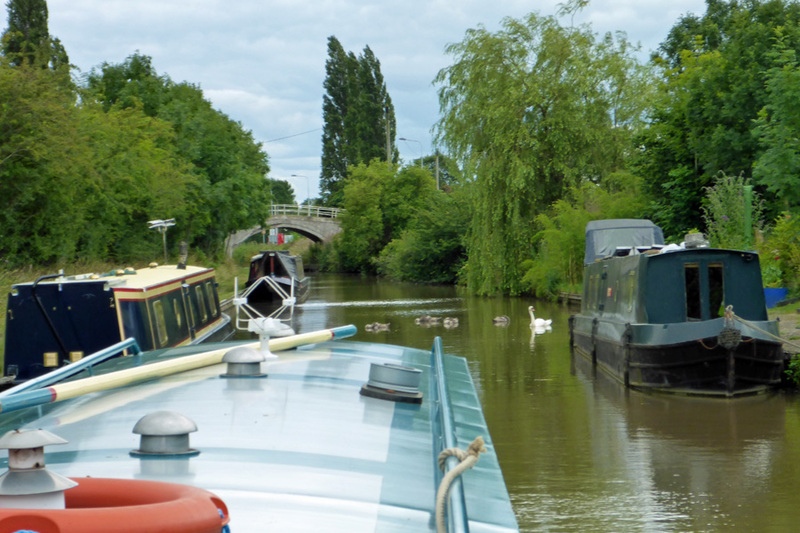 Most of those moored around us upped sticks and moved on before the second day of training began, which suited me completely – fewer folks’ homes and hireboats to worry about before the caffeine had truly kicked in. Have you seen this man? Wanted by the Sweeney in connection with a violent bullion robbery near Heathrow. I now know a little of how much I have yet to know, and I have my basic certification – including a mugshot that shouts “Have you seen this man? Wanted in connection with a violent bullion heist near Heathrow”! In three weeks’ time I will be submitting myself to the training and exam for the VHF Radio qualification. Hopefully a new certificate, sadly same old mugshot. 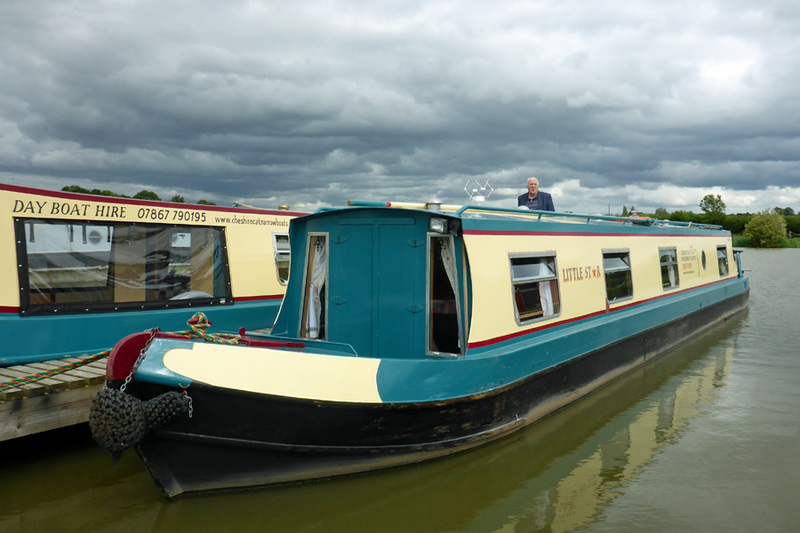 All I have to do now is make a decision (or twelve) and find/build/buy/modify/fit-out my own narrowboat home. One task on my list is to find a dog that I can train to work ropes and to occasionally take over at the throttle and the tiller (bonus points if the dog can also work locks and cook)! What an adventure for you, I wish you luck for the exam and for the future. I also hope that you find just the right craft for your home. Looking forward to ‘canalside blogging’. Exciting and terrifying all at the same time! How tremendously exciting! WHAT an adventure!